Our meeting energisers are the perfect way to bring a breath of fresh air to your meeting, and ensure that everyone is wide awake, enthusiastic and receptive to your meeting agenda. Our range of energisers provide a fantastic way of preventing boredom, easing tension or simply leaving people on a high before they depart. They are specifically designed to be inclusive so that EVERYONE will have great fun and enjoyment. Get a quote with absolutely no obligation. We can provide a quote within an hour. Full contact details are on our Contact us page. If you haven’t used a meeting energiser before, then don’t be scared to try one. They really work! During meetings, your audience may not always be attentive, particularly if they have to listen for long periods without contributing. Or perhaps, things have the potential of getting heated. the end of the meeting, to leave participants uplifted and enthusiastic, and feeling that the meeting was a great success. We promise great enjoyment and fun, but with a serious purpose. By listening to your specific requirements, we will ensure that we deliver a highly-successful meeting energiser that reinforces your meeting objectives. To be successful, the choice of activity hould be sensitive to attendees’ needs, and it is important not to coerce people into taking part. This is why we specialise in inclusive activities that are enjoyed by everyone, regardless of culture, language or whether attendees are extrovert or introvert. You will be in safe hands with our charismatic expert facilitators. We recognise that the quality of the facilitator can make the difference between success and failure, so we take no risks. We use only our highly-trained in-house facilitators who have many years of experience of facilitating meeting energisers. 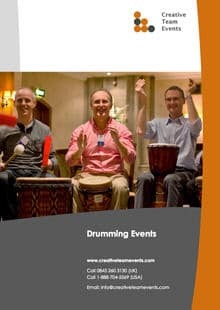 We pride ourselves in offering a range of highly-interactive, music- or rhythm-based energisers, which last from as little as ten minutes, to more than an hour if required, to fit in with your meeting agenda. They are incredibly lively, interactive and visual, and can change the atmosphere in seconds. We can cope with any group size, and can provide our activities in any location, in the UK, USA or worldwide. All have minimal set-up and clear-away times. Here is a small selection of our most popular meeting energisers and you can click on the links for more information and to download our PDF brochures. Clap Happy. Your meeting participants become a colourful clapping orchestra. Boomwhackers. Boomwhackers deliver a highly-visual and interactive session. Haka. 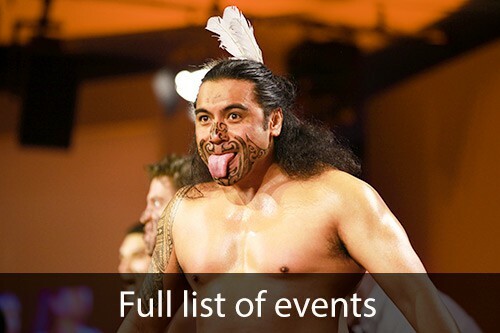 Learn and perform the Haka led by authentic Maori Masters. Drumming. 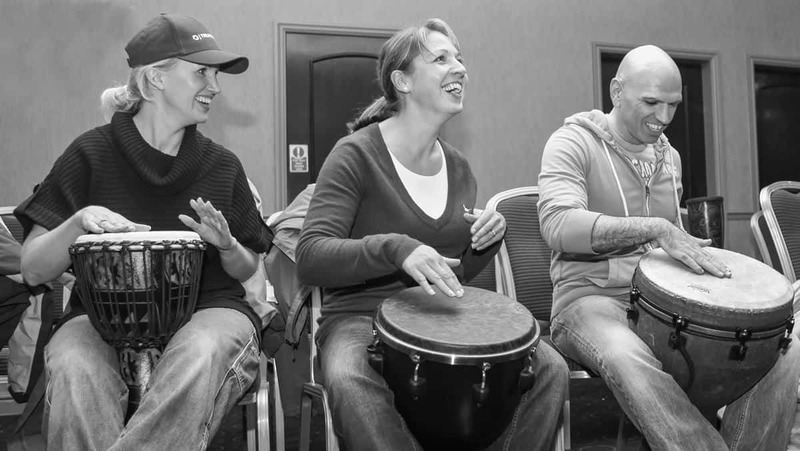 Drumming continues to provide a highly-effective energiser. Please get a quote now.